Less than 15 cases of this coveted wine remain for sale in our tasting room. Purchase limits are one case per person for wine club members and six bottles per person for the general public. Our next vintage release of the Grande Riserva will be in mid-December 2017. 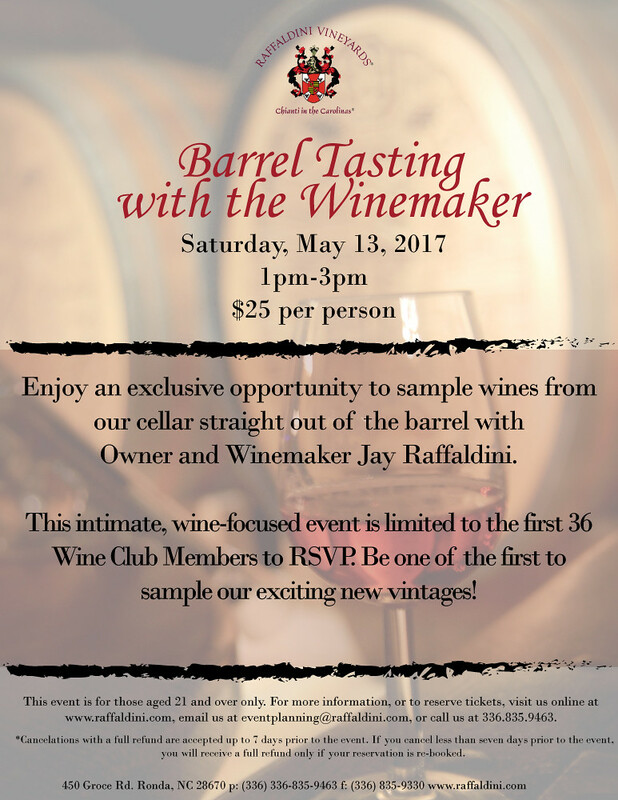 Don't forget to purchase your 2017 Spring Wine Club Package containing the inaugural release of our newest red varietal, Sagrantino. This varietal hails from Umbria and is one of the rarest in the world with less than one-thousand acres planted worldwide. Our debut Sagrantino is from the spectacular 2015 vintage that was hot and dry, just like in Sagrantino's native Umbria. The Spring Wine Club Package will also contain the 2016 vintage of our classic white, Vermentino Superiore, and the 2015 Bella Misto. In addition to the wines, each package contains a letter from the Raffaldini Family, winemaker's notes and recipes to pair with the wines, a list of upcoming events including an invitation to our Summer Four Seasons Wine Tasting Dinner. 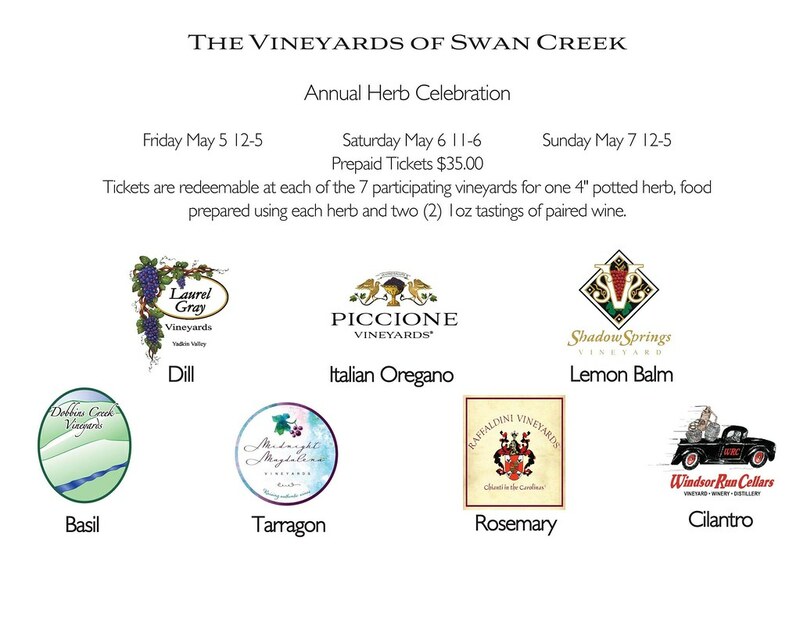 Join the Vineyards of Swan Creek as we celebrate spring with a wine and food pairing prepared with each vineyard's signature herb. Each card is good for two-1 ounce food & wine tastings and a 4-inch potted herb from each of the seven participating vineyards. Tickets will sell out and only a few are left so please make your reservations now. $35 + tax per couple. This event is for those age 21 and over. Only a few tickets remain, please call 336.835.1547 to confirm. 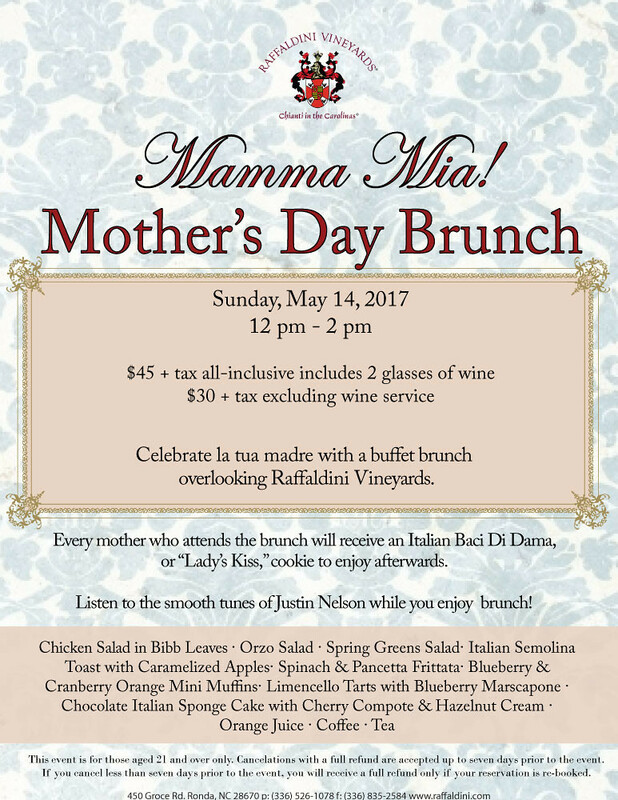 Celebrate La Tua Madre with brunch at Raffaldini Vineyards! Enjoy an Italian-inspired buffet overlooking the mountains beginning at 12pm while enjoying the music of local pianist Justin Nelson. Every mother attending the brunch will receive an Italian cookie called Baci di Dama, or "Lady's Kiss," to enjoy. Tickets are $50 plus tax per person, and include two glasses of Raffaldini wine. Stop by the tasting room, visit our web site, call 336.526.1078 or email our Event Planning team for more information or to make a reservation. 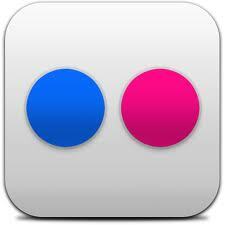 Cancelations with a full refund are accepted up to seven days prior to the event. If you cancel less than seven days prior to the event, you will receive a full refund only if your reservation is re-booked. 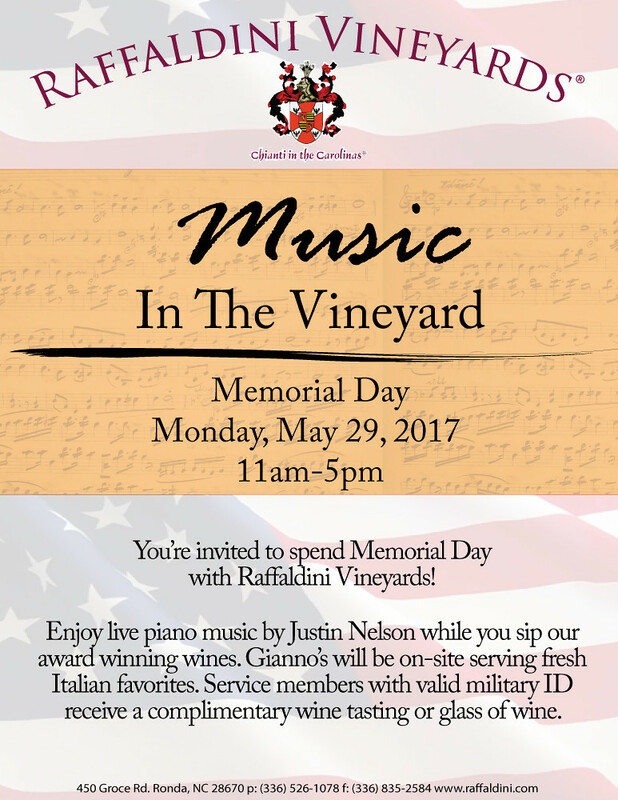 Kick off the Summer season and enjoy your Memorial Day with an afternoon of wine, music and food at Raffaldini Vineyards! Celebrate the start of Summer with an eclectic mix of music performed by Pianist Justin Nelson and make a day of it with a picnic from our fully-stocked deli case or pizza and gelato from Gianno's of High Point, NC to enjoy with your Raffaldini wines. Stop by the tasting room, visit our website, call 336.526.1078 or email our Event Planning Team for more information. Veterans and active service members will also receive a complimentary wine tasting or glass of wine with valid military ID. 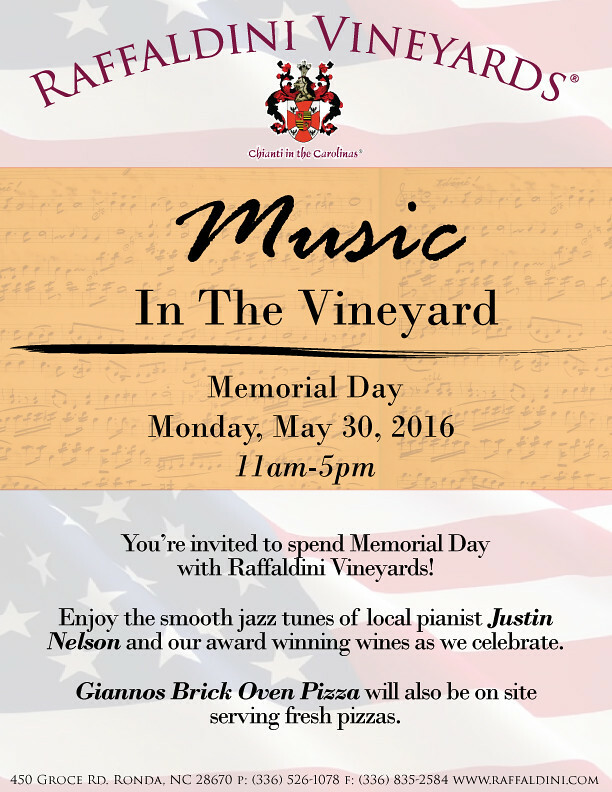 Raffaldini Vineyards will be open Memorial Day weekend and Memorial Day Monday! Join Raffaldini Vineyards and other wineries from the Yadkin Valley at the annual Yadkin Valley Wine Festival. Held at Elkin Municipal Park, the festival is open to the public, including families with children. Craft vendor displays and music will take place adjacent to the wine tasting area. There will be a roving Bacchus and other activities for children. Please note the festival ends at 5p.m, but stick around for the Yadkin Valley Wine Down along Elkin's Main Street from 6pm-9pm. For your safety and the safety of others, the festival asks that you please leave your pets at home. 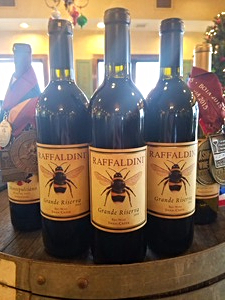 Raffaldini Vineyards is proud to be the artistic sponsor and official winery of the Piedmont Opera. The Piedmont Opera celebrating the the 26th Annual Magnolia Ball, their largest fundraiser of the year, on Saturday, May 20th, 2017 at the Millenium Center. Join Jay & Barbara Raffaldini for a night celebrating the arts. Raffaldini Vineyards is open year-round and there’s something for everyone on our full 2017 Events Calendar. Check out our calendar for the perfect Spring outing.